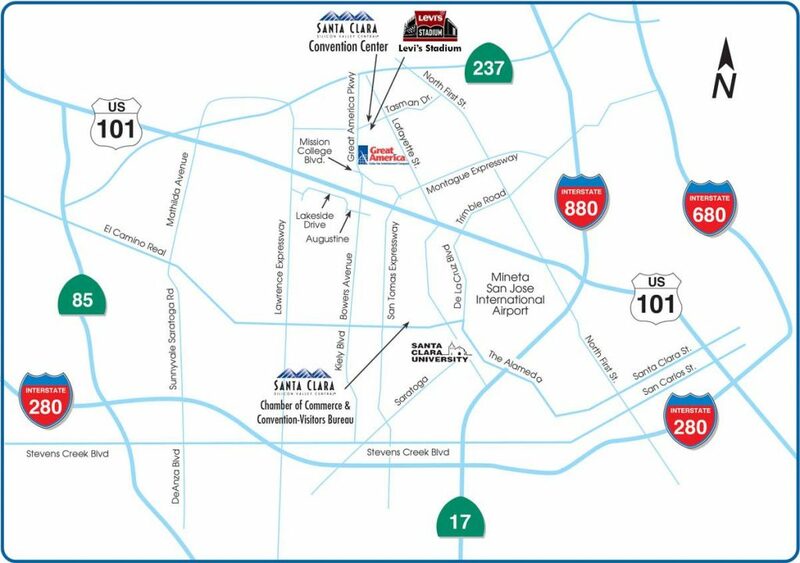 Find parking & directions to Santa Clara Convention Center here. The Center is in a convenient central location in the heart of Silicon Valley. With three surrounding airports in popular Northern California locations, visitors will have a convenient commute to and from the Center. Consider using some of the available public transportation options to make traveling even simpler. 1,500 on-site parking spaces in a 3-story parking garage on the Silicon Valley Convention Center campus shared with the Hyatt Regency and TechMart.